Discussion in 'The Lounge' started by Toshi, Apr 23, 2013. I apparently overstimulated my brain yesterday (board review + listening to lots of Stravinsky while driving all around Long Island to test drive a few cars), and now I'm paying the price in that I can't get back to sleep. Maybe the soothing sounds of Nohomo from Germany will help you sleep. I wonder if the day will ever come when it's snowing, icy, with temps well below freezing, when assclowns in teh hangar won't be using the same tired joke about did I ride my bike or motorcycle this morning. Hur dur. It is Tuesday once again. Might try to do a quick mtb ride after work if I'm still feeling motivated to do so. 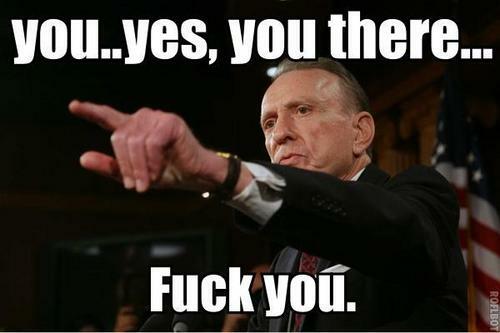 That's about it. had a naked guy jump in front of my paratranit vehicle on a fwy overpass just now. missed him by 3 feet. cops took him away on a 72 hour psych hold. In one month it will be May 23 which is kind of crazy when you think about it! And in two months I will be living in MA, which is *really* crazy when you think about it. Sweet . Moring , about to leave to a job I hate. Got him a used bike this weekend. Needs a manly paint job and I already have quality spray paint ready. Yo. 1st practice tonight at the BMX track with the young gun. Hope he enjoys it - walking that fine line between coaxing & not pushing too much. 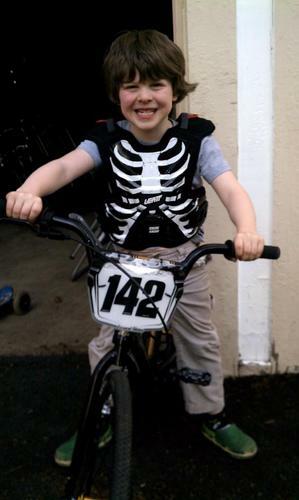 Laid final 'grandma' BMX gift on him yesterday - Skeleton body armor! He was a happy camper! It's slightly big, but should be OK.
Love the body amour and nice bike too! Know all about the fine line and walking it can be frustrating some times. Thanks. We spent some late season time there last year when he had a 16" pit bike. Bike was heavy and he is somewhat sound sensitive, so the pneumatic sound of the gate dropping scared the bejesus out of him. He's stronger now and has a lighter bike, so I am hoping that he'll race this year (rather than tee ball) and get beyond the gate thing. Morning! Finally feel like I've exited the sick cloud and can be present in the world again! 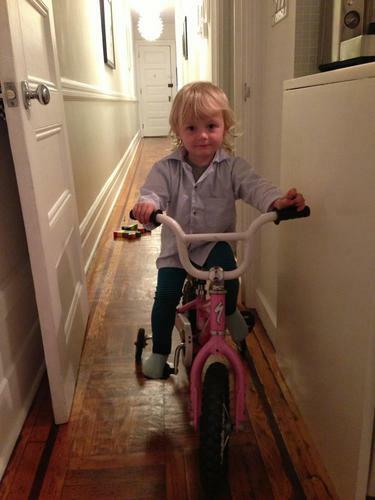 My daughter loved to race, just not against anyone but me. She raced a few times, but we ended up having more fun rolling the race track and running practice runs when they were there running the gate for practice. I know that drill! "Dad. let's race!....Wait!!!! You have to let me win!!!! Wait for MEEEEE!" I was trying to bribe the other kids to let her win, but that didn't work either. I couldn't afford to bribe the kid AND dad and dad wanted a trophy. What town? We'll kinda sorta be neighbors. Don't let the Massholes get to ya. Haha that reference is almost 30 years old now. Oxford. We'll definitely need to get together for some rides!